Helen Mary Villarruel Lopez was born October 7, 1955 in Ogden, Utah to Joaquin and Beulah Villarruel. She went to Heaven to be with her dad, brother and all relatives that have previously left us. 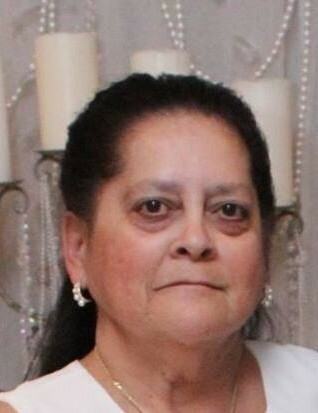 She is survived by her husband, Jose; daughter, Celeste (Ben Redington); son, Joaquin Lopez; four granddaughters that she loved so much; and great-grandson, Bentley, her pride and joy. She is also survived by her siblings: Debbie (Daniel) Fraga, Kenny (Melody) Villarruel, Paul (Teresa) Villlarruel, Misty Zisumbo. She is also leaving behind countless nieces and nephews she loved dearly. Funeral Mass will be held Saturday, February 9, 2019 at 11 am at St Joseph's Catholic Church, 514 24th St, Ogden. A viewing will be held Friday evening, February 8, 2019 from 6 to 8 pm with Holy Rosary at 7 pm at Aaron's Mortuary, 496 24th St, Ogden.